In Italy, there seems to be no shortage of 'off the beaten path' little gems. 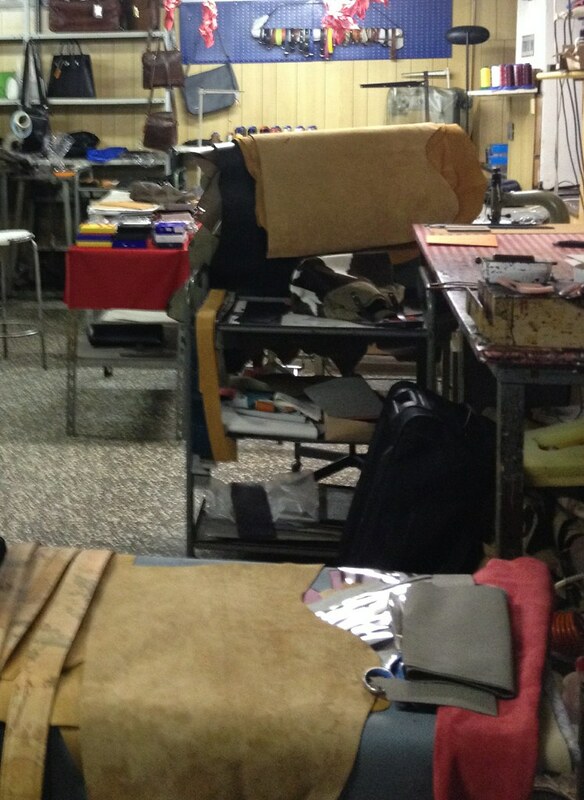 For three years I've been hearing about this little shop full of leather bags, made right in the shop. And for three years I've been begging for someone to take me. Finally, just before our Christmas holidays, Peggy agreed to that we would finally make a trip to the shop. We borrowed Maureen's GPS system and plugged in her saved directions for "Geppetto." Without those directions, finding this shop would have been impossible. We wound around roundabouts, down several streets, and parked in a parking lot. Then we walked behind one building to another to an unmarked door. I have absolutely NO idea how to get back there again. Pushing open the door, you find several metal shelving units covered in bags and several tables where the two men have been working on various bags and leather goods. Peggy said that the supply was a little lackluster this time around. It was, after all, just before the holidays. I, however, scored the deal of the night. 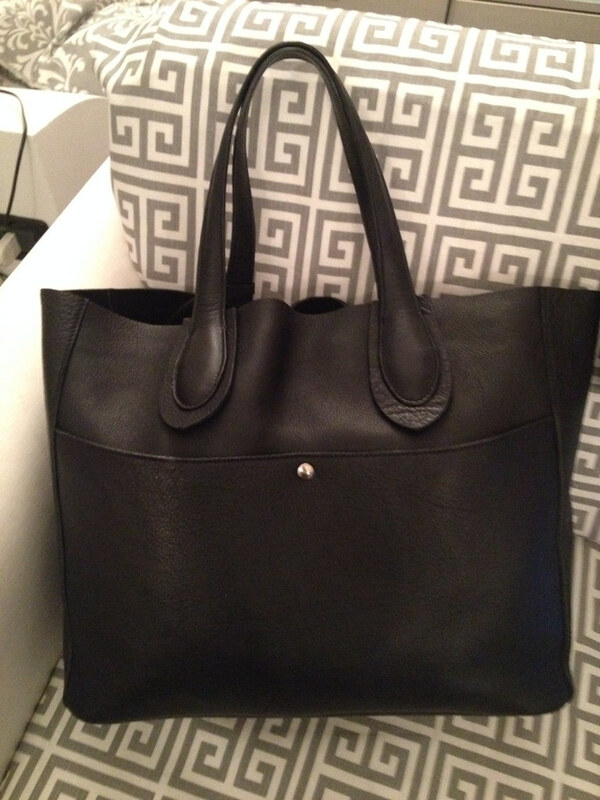 I bought a smooth and soft black leather bag. The interior label reads Epoca Uomo, which is a Japanese label. My friends asked if he had more bags like mine, and he told us only in Japan. 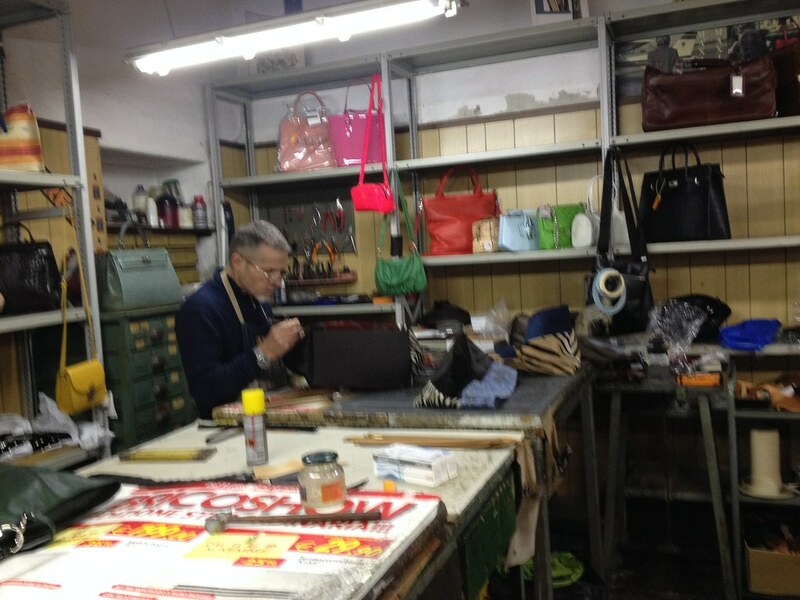 From our conversations, it appears that this little shop constructs bags for several different designer lines around the world. 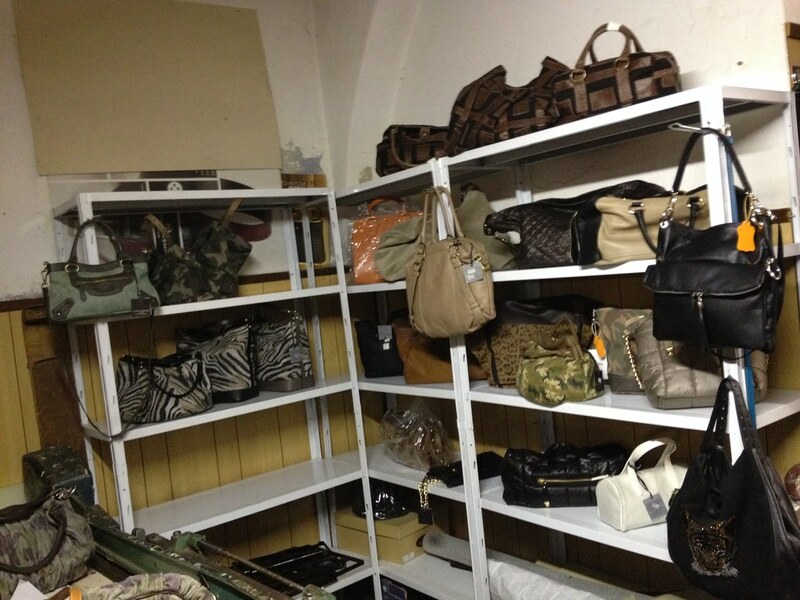 When they work on orders, they sell a bag or two in their own shops. I couldn't find the exact bag on the label's website, but a similar one was retailing for about 300 euro, and I most definitely did not pay that! More recently in January, Men's Fashion Week rolled around. This was evidenced by a few extra well-chiseled jaw lines hopping on and off the tram. I've always been interested in fashion and style, even though my favorite outfit is leggings and a hoodie. So, on a cold Sunday night, I wandered over to a nearby street to see what the scene was like around a big name show. 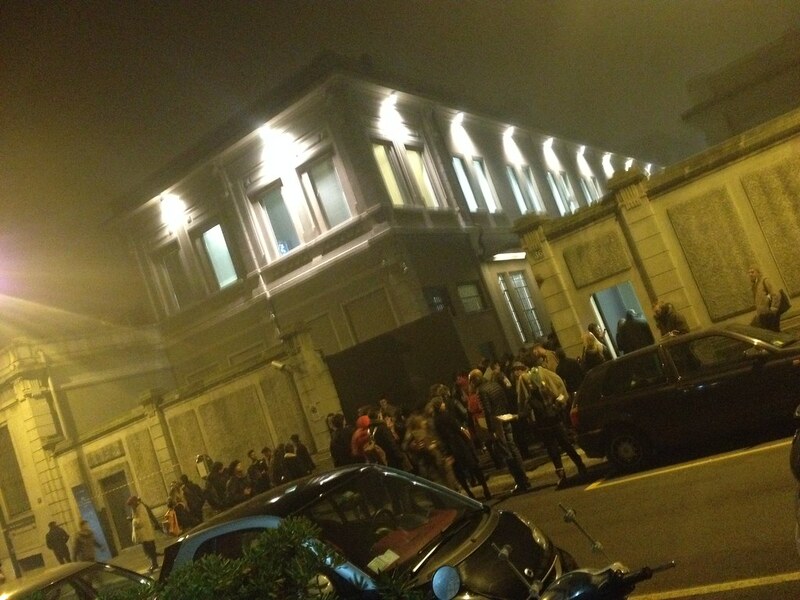 The Prada show was set to take place at 6 pm, and in true Italian style, it started a bit later. But, it was fun to see various people hoping to gain entrance to the show and those that arrived who were quickly let in, often stopped by the paparazzi for a few quick photos. I recognized no one, but still enjoyed the whole scene. 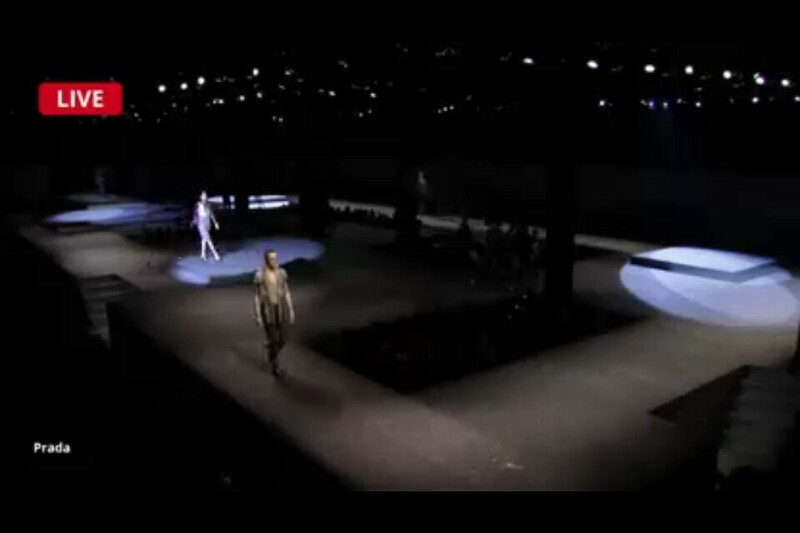 The show was streamed live on a website so I was able to see what was happening inside while standing on the street. that they steered away from a traditional straight runway. When the show ended, everyone quickly hustled down the street looking for their appointed driver to pick them up. It was a mess of cars and taxis, in the truest Italian sense. It was fun to observe all the action from the outside. Perhaps one day someone will get me on the inside. But, what would I wear?